APPLICATION DEADLINE EXTENDED TO MAY 19, 2017!! 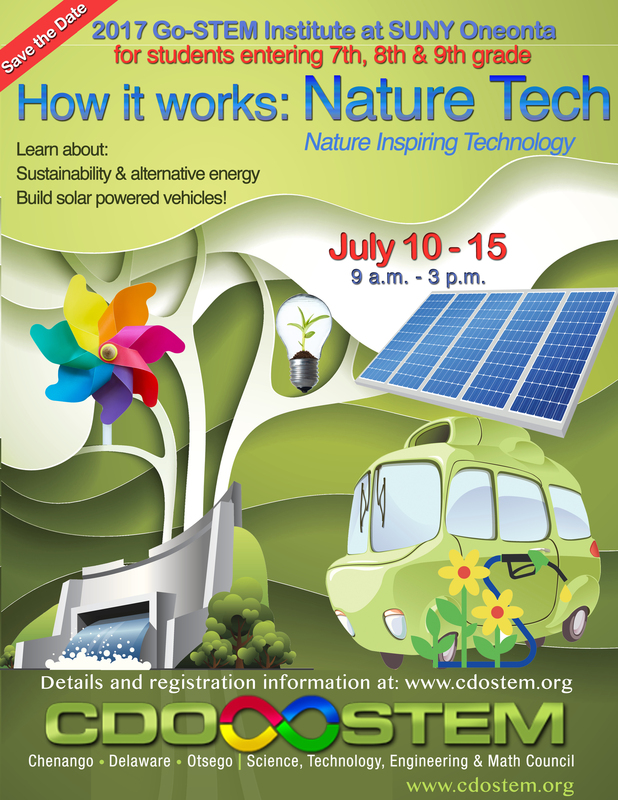 The 2017 GoSTEM Summer Institute will focus on the theme How It Works – Nature Tech. The Institute is open to incoming 7th, 8th, and 9th grade students who want to learn how nature inspires technology. Students will learn about sustainability, alternative energy sources, and will be able to interact with professionals in the field. Hands on activities will include building solar powered vehicles. No Cost for this Inaugural Year! The 2017 GoSTEM Summer Institute will focus on the theme Exploring Nature. The Institute is open to incoming 7th, 8th, and 9th grade student. 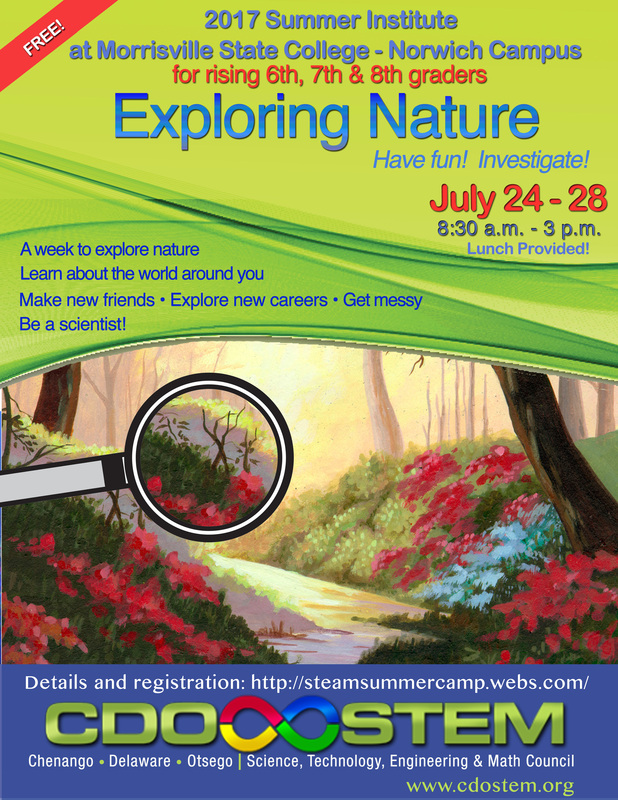 A week to explore nature, learn about the world around you, make new friends, explore new careers, get messy and be a scientist!